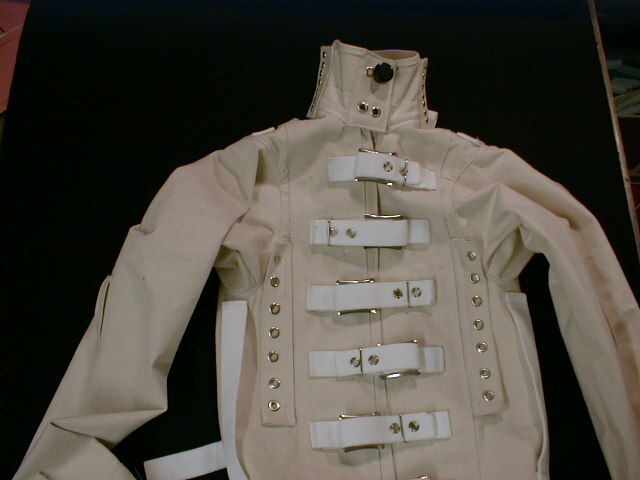 This page is a collection of images of a straitjacket design by Jim Stewart for Fetters Europe. 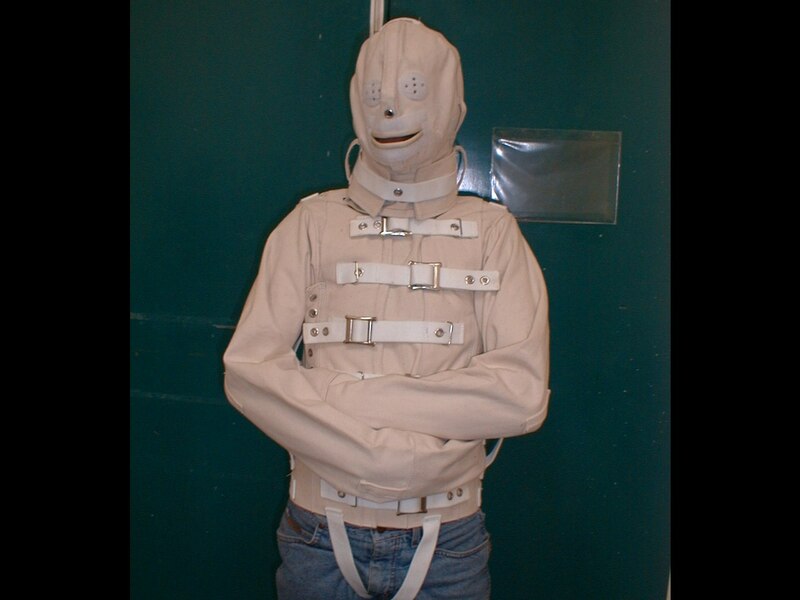 It is a front opening straitjacket. The straps in the front alternate directions. The straps can be locked with Segufix magnetic locks. Very high collar laces at either side in early model. 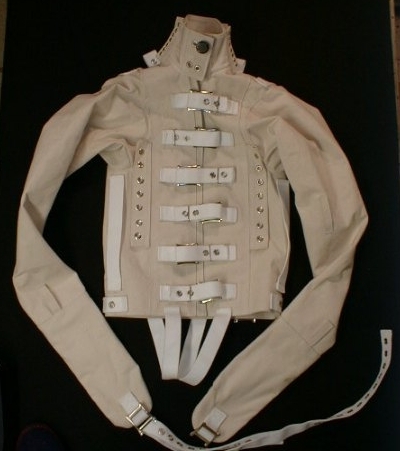 Unique new double collar that tightens without lacing seen in lower pictures. 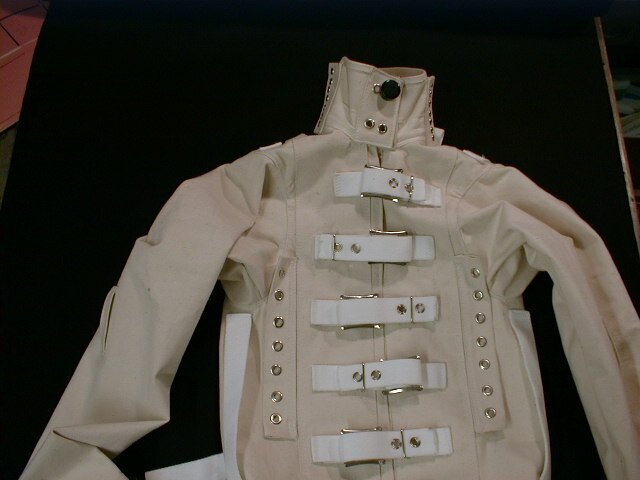 Sets of eyelets on body of jacket to lace arms to the side of the jacket. 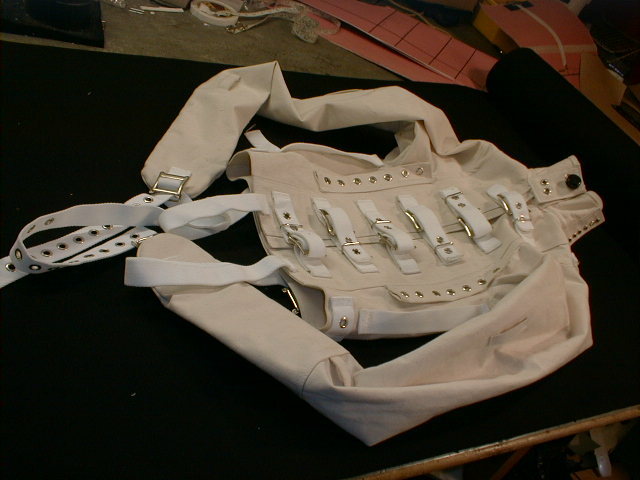 Two strap loops on each arm keep additional chest straps from sliding. 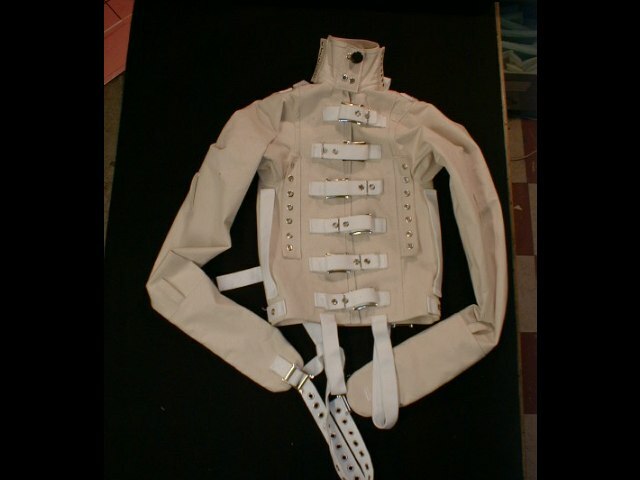 Two crotch straps and under-arm loops are standard on all Fetters straitjackets. 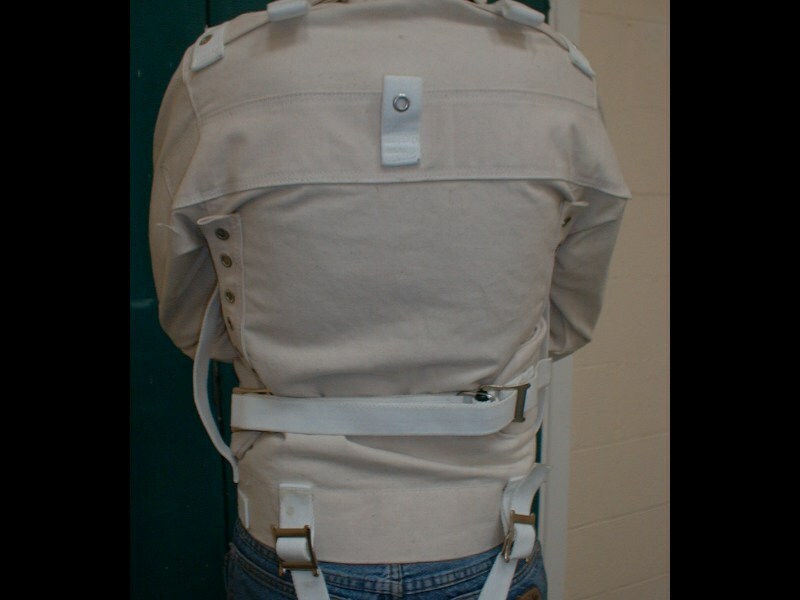 Picture of the back of the straitjacket (sj-front-09.jpg). (sj-front-08.jpg) Jacket being worn with hood. The customer requested canvas hood with strap and Velcro on mouth and eye covers, Jim Stewart feels that there are better alternatives. 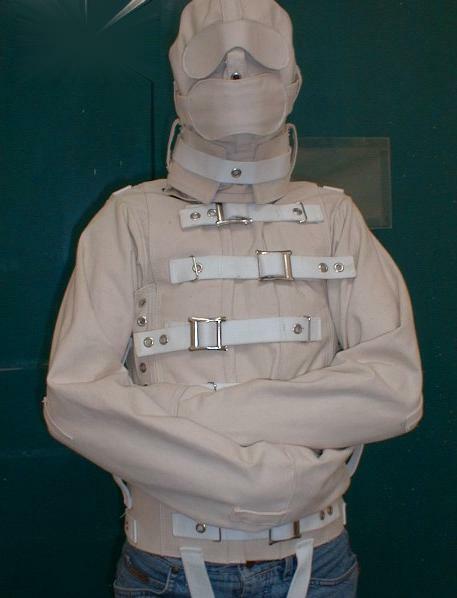 Price for similar straitjacket (without Segufix locks) will be around £400UK plus shipping when Feters Europe has found a source for white canvas strap webbing. 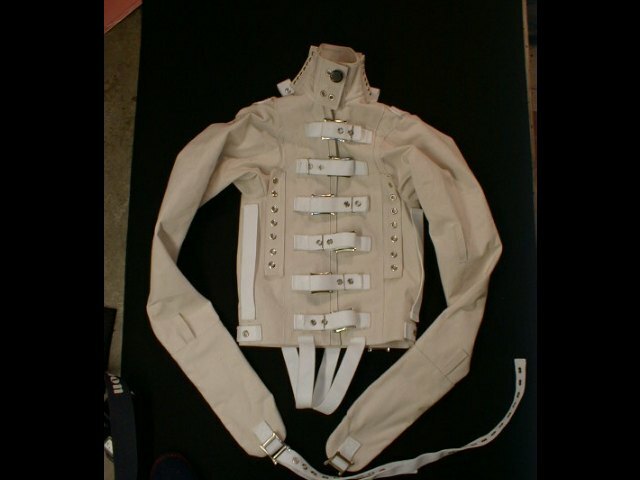 The webbing is like the webbing used on Posey jackets. This page has been accessed 56011 times.